Culture and Equity | Curriculum Management Solutions, Inc. I listened to a podcast recently called 10 Ways Educators can Take Action in Pursuit of Equity, and it got me thinking about culture. Culture is often a major player in equity, and when we hear “culture” in the same breath with “equity” we tend to think of the various cultures students bring with them to the classroom and the impact of those on our ability to provide a level playing field for students. But today, I want to highlight a different kind of culture: the culture of the school itself. Schools are powerful institutions, and children spend long stretches of their lives inside those institutions, absorbing messages that we don’t even realize we are sending. By now, most of us are familiar with implicit and explicit bias, and these are not small things, but there are other, subtler aspects that can slide under our radar and be just as damaging. All of these were addressed in the podcast by the very excellent Pedro Noguera of UCLA and all of them have been embedded in the culture of schools for a long time. The culture of failure develops when schools become fatalistic about failure for certain groups. 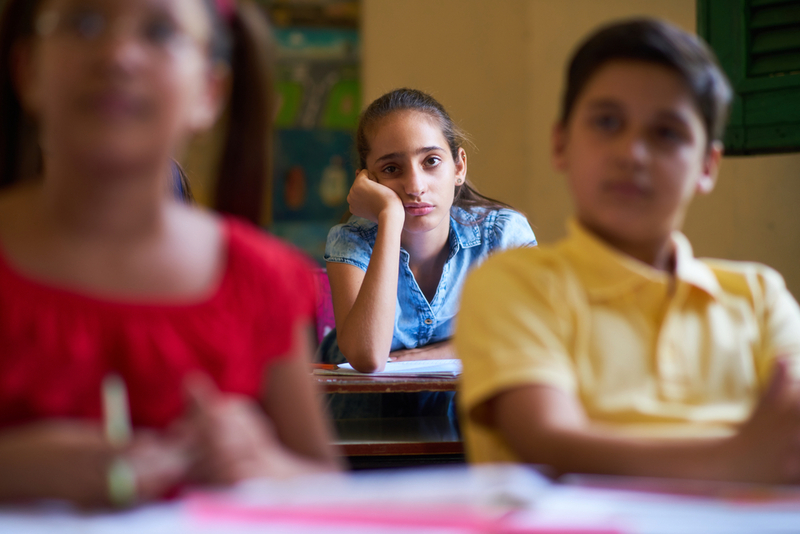 You may hear “these kids just can’t learn,” or “these kids never do well on tests,” or “a lot of these kids flunk math” but no one seems alarmed about it or even overly concerned. The school has become complacent about failure for “these kids,” whoever “these” kids might be – you can really insert any adjective you like here. Failure has become an expectation for them. And if a child is surrounded by adults who expect failure, failure is often what they will get. The Culture of Denying Instructional Time. Schools have long punished the most vulnerable kids in school by denying them instructional time. The may get sent to the office more, then they are suspended, maybe even expelled. But research shows that these are often the kids who can least afford to miss instructional time. Poor readers don’t get better at reading sitting in the principal’s office. They only get more behind, more lost. And then the child is locked in a vicious cycle: doing poorly, can’t follow the lesson, acts out, gets sent to the office and so misses the lesson, returns to class even more behind, can’t track, acts out, gets sent out again…and so on. While not having the child in class may be a respite for the teacher, it’s the worst possible consequence for the child. The Culture of Parental Exclusion. Sometimes this culture develops not from any malice but from a desire to help kids whose parents are unable to help them well either because of job schedules or lack of formal education themselves. But the school can get caught in the trap of trying to do everything in isolation from the parents and this doesn’t really work well for students. Life at home and school life can begin to look like a dichotomy instead of an integrated process meant to help kids succeed. Parents need to partner with schools and schools need to recognize the lasting impact of the parents and treat them with respect and dignity as they invite them into the process. The Culture of Teaching How We Teach. We’ve all heard this one, though maybe not as explicitly as this: We teach how we teach and if kids can’t learn that way, there’s something wrong with them. In fact, there’s a lot of evidence that says if we can’t create the appropriate conditions for learning, there’s something wrong with us. Remember the Skinner Boxes from an earlier journal post? We can’t blame the pigeon for not learning if we put it in a box designed for a rat. Schools have to start creating the conditions in which kids can learn. These cultures can run very deep in districts, and sometimes the advice for how to deal with them seems counter intuitive. But in order to achieve equity, we have to run counter to how we’ve done things in the past because it’s clear that those approaches have not produced the results we were hoping for. You can listen to the entire podcast at the Cult of Pedagogy. Access a wealth of information about equity initiatives from the Center for the Transformation of Schools at UCLA. Contact CMSi for a Curriculum Mangement Audit which looks at district systems through an equity lens, or contact us for a Student Artifact Analysis to determine if your students — all your students — are receiving the highest quality education possible.